Hydrogen sulfide is a toxic substance produced mainly during industrial processes. Breathing in hydrogen sulfide gas can cause shortness of breath or even death. Small amounts of hydrogen sulfide are also produced by bacteria in your gut after digestion of certain foods. Low-dose exposure can dull your appetite and produce headaches over time. Exposure from digested food is probably not enough to cause serious side effects, but it might contribute to unpleasant odors when you pass gas. According to the World Health Organization, several foods and drinks may contain sulfides. Hydrogen sulfide is absorbed quickly from your digestive tract and most of it is processed by your liver and excreted through your kidneys or your lungs. The amounts present in most foods are considered too low to produce significant effects. For reference, an oral dose of 250 milligrams per kilogram of body weight did not appear to cause harm in rats after fourteen full weeks of exposure. Cooked beef has about 0.6 mg of hydrogen sulfide per pound, and cooked lamb has closer to 0.9 milligrams per pound. Certain amino acids contain sulfur, so hydrogen sulfide concentrations tend to be higher in anaerobically packaged meat. Air-tight packaging prevents this compound from being released into the air during storage. Cysteine and methionine are two amino acids that contain sulfur and contribute to levels of hydrogen sulfide. Animal proteins contain all of the essential amino acids, so any packaged meat products will have small amounts of hydrogen sulfide. Heated dairy products, such as skim milk, can have about 3 milligrams of hydrogen sulfide per gallon. Cream has slightly more than double that amount, mainly because dimethyl sulfide is sometimes added during the processing of cream. This sulfuric compound might also be added to jelly, soda and candy as part of the manufacturing process. Dimethyl sulfide can be converted to hydrogen sulfide as food degrades, or as you digest it. Drinking water might also contain trace levels of hydrogen sulfide, but more than 0.2 milligrams per gallon would create detectable taste and smells. If your drinking water had anywhere near dangerous levels of hydrogen sulfide, chances are you would not want to drink it because of the smell. In the United Kingdom, average intake of hydrogen sulfide from food and water is estimated at 1.7 milligrams per day. If you are concerned about this substance, avoid processed foods and limit your meat intake. Chances are your body will be able to handle the normal amounts already present in your diet. 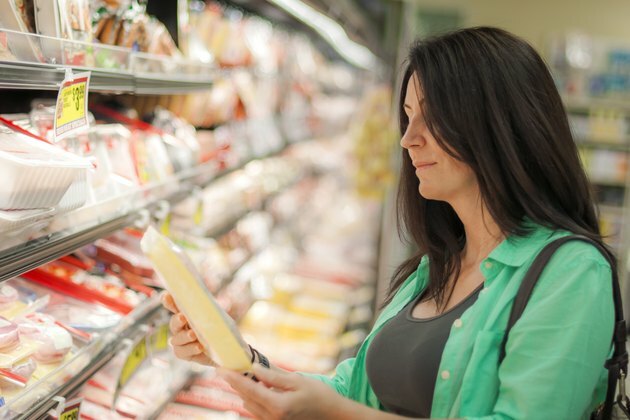 Can Pregnant Women Eat Nitrites? Is Grilled Chicken Healthier Than Baked Chicken?